Banking industry and possible changies? Cyprus ! It’s really interesting to observe how the world keeps changing in many ways. In our corporation & banking sector the changes have been tremendous! One of our bank we work with, they send us an alert about some changes in Cyprus banking industry. Be aware that this might be an opinion of competition however the changes are there! I wanted to give you a quick update on what are seeing out of the major Cyprus banks. Despite news updates to the contrary, wires of up to $50,000 per day are leaving the country. If you still have clients in Cyprus who are looking to exit, this would be an excellent time to inform them of this window of opportunity as we don’t believe many investors are aware of this fact. If you have no clients or exposure there there, hopefully this email was still informative. Please let me know if you have any questions about this information. for company formation please contact us! thanks for reaching me! My name is Tomas and I will take care of your case. I would like some information regarding your company formation service. 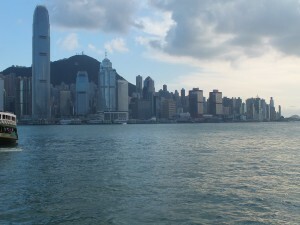 Company formation in HK is really simple since the HK gov implemented the online system we are registered agent, no. 1095 Click here. The company is done within 24 hours. We have in our team lawyer who is focused on patent as well. He might be of assistance. This is exactly what we always advice to our clients. To open up a company is really easy however you should think twice where to open up a bank account! My advice is almost always HSBC as you have mentioned. They are based worldwide and have really nice online system – banking, we use it in Startupr as well. 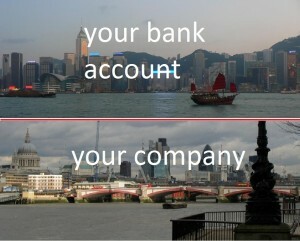 The BVI company might have the bank account in HSBC in Hong Kong as well as the Hong Kong company. It would be done at the same time! at the bank, do you prepare all documents, etc). 5. post incorporation process; documents dispatching to your address, etc. Indeed, you will need to come over to HK, it will be much faster and easy for all of us. My preference would be to have this all arranged as a complete package. You've made things much clearer. So I get from this HSBC will have no problem opening an account for a BVI company? It's a shame I would need to be present in person, I am really short on time right now and I was hoping to get the company's started on short term. It's not possible to do the incorporations and bank account opening remotely? We are always happy to response to all of your questions. One of our customer is requesting whether it’s possible to open up the bank account in Hong Kong if you are not resident of Hong Kong. Can a foreigner open bank account in Hong Kong? (From our e-mail box). Almost every person/entity can open bank account in HK, there is no restriction from the Financial Secretary (Hong Kong) on bank account opening for foreigners. We might illustrate a typical example where customer from US (or EU, Egypt, Russia, India etc.) incorporate company in HK and than will open bank account with Hang Send bank, HSBC or Standard Chartered Bank. HONG KONG Company formation and bank account opening click here. Once you open your company in Hong Kong, you will need to check what kind of documents to get in order to ope bank account with HSBC in Hong Kong. Startupr – Your incorporation service provider.